Click this image to see an example from our irrigation portfolio. 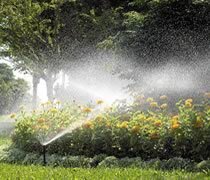 PALM has been installing high-quality commercial landscape irrigation systems since 1989. We have been providing large-scale systems for Homeowners Associations, Office Parks, Municipal, Industrial and Golf Course applications. Palm is capable and ready to handle any and all of your irrigation needs. From basic maintenance programs to pumps, program valves, and complete installation, including plans. The PALM irrigation contractors are licensed and fully trained in the latest technology. With water conservation on full alert, our irrigation specialist is well versed in smart irrigation and water management. Attention to detail is what sets PALM apart from our competitors. Your projects are not complete until you are completely satisfied with the our work. PALM warranties all work performed by our commercial landscaping services. Please contact us and whatever needs attention will get our immediate attention.